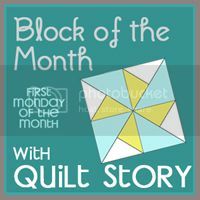 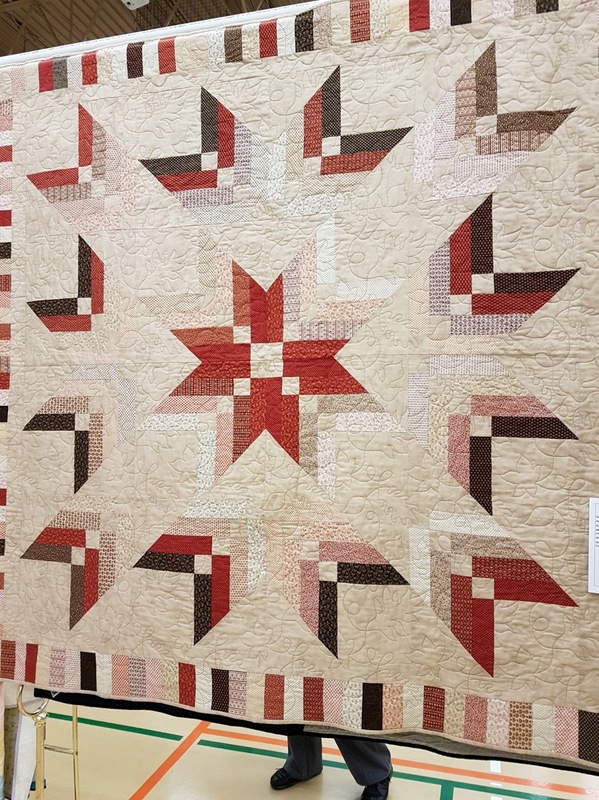 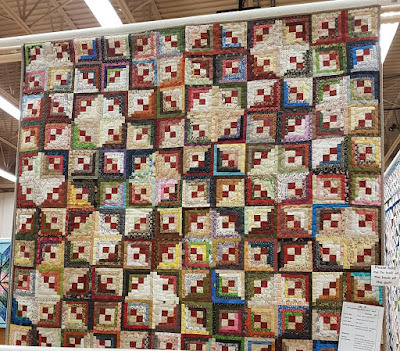 This past weekend was one of our local guilds semi-annual quilt show. 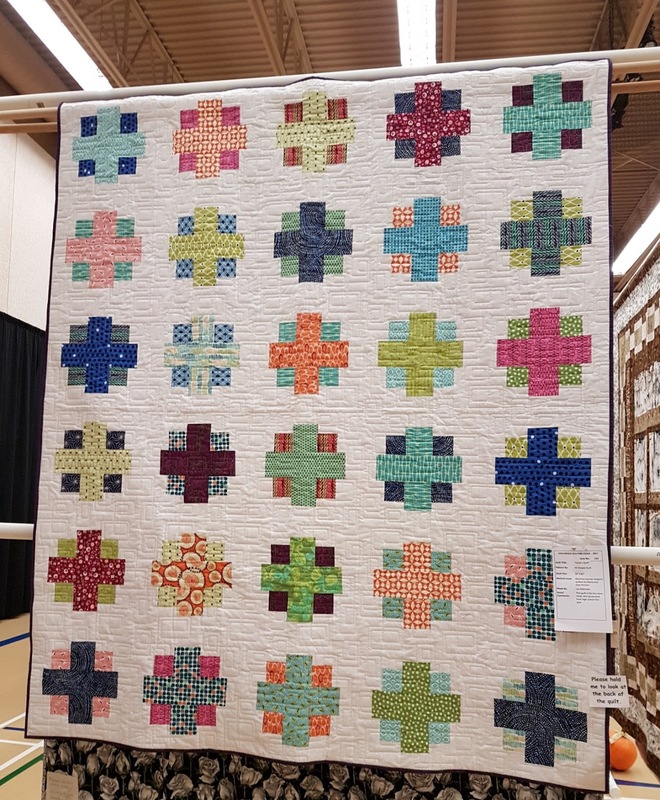 Here are a few of my favourite quilts. 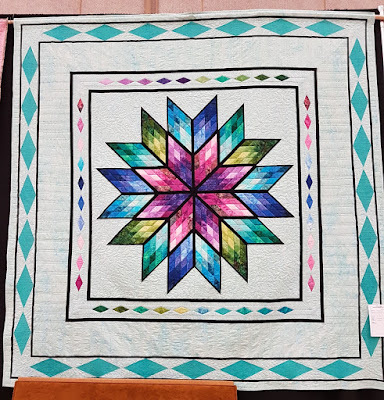 This quilt needs to come live with me, Love! 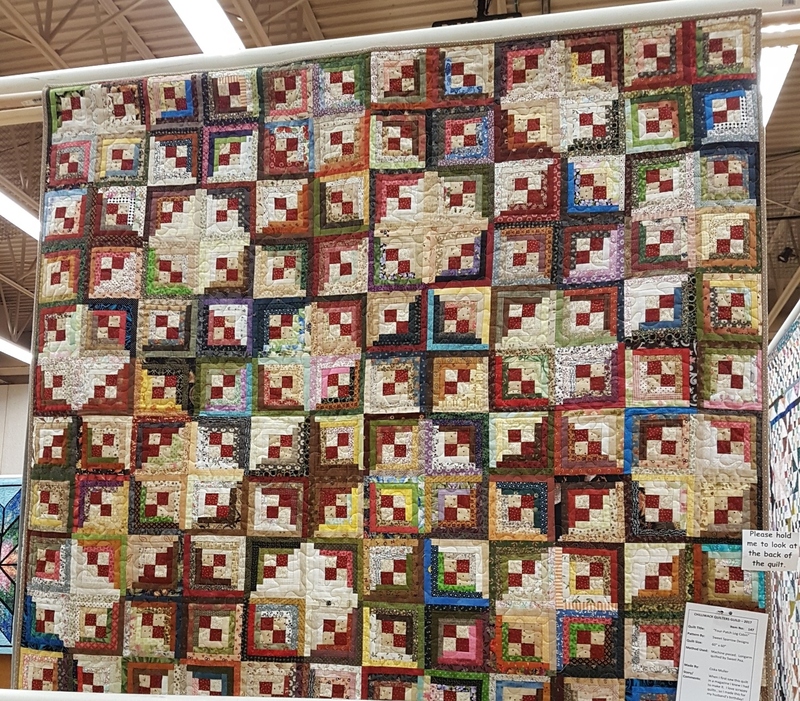 I should have taken a closer picture of how small there 9patches are. 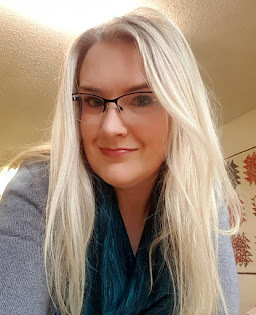 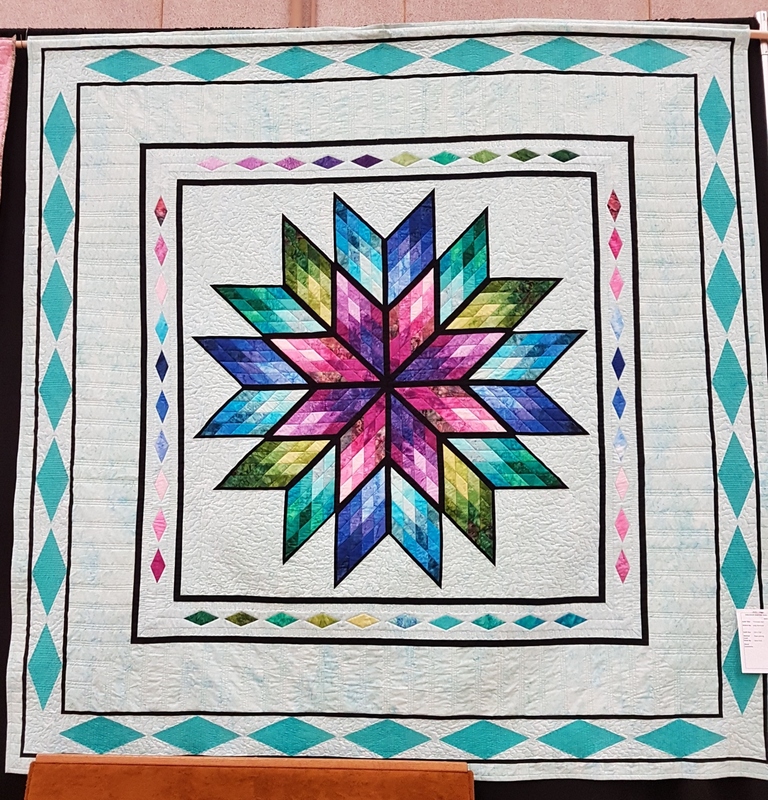 This jelly roll star, the colours are amazing. This quilt is also amazing. 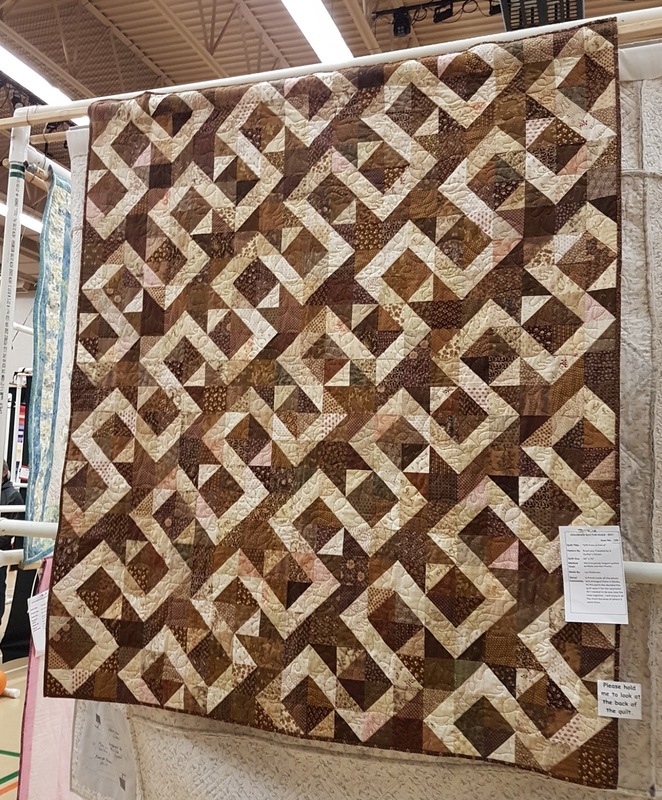 I spent 6 days custom quilting this beauty(more details later on this week).